You think I’d be more vocal with Halloween coming up, huh? Well, the truth is I’ve been so dang swamped with everything that I’ve haven’t had two seconds to stop and take photos of things. Regardless, October is always my busiest sewing month (next to May). I do have lots to show, including a new middle eastern coat I finished. Pics of that to come. Until then, CLOWNS! I love making costumes for my two nephews! And this year my sister wanted them both to dress as little clowns. They’re still at the age where they don’t care what they wear and mommy can chose for them. 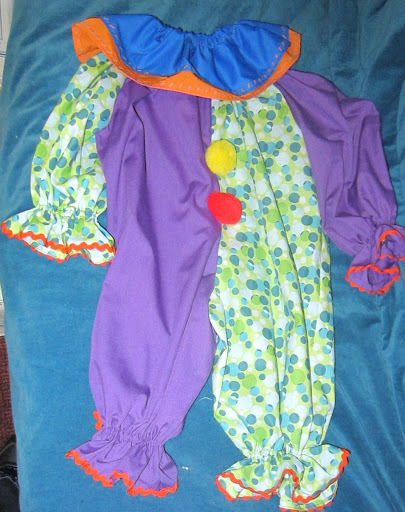 So I was tasked with making two little clown costumes. This one is for the youngest, Tommie. My friend and savior Ellyn was nice enough to gift me with a new sewing machine. Well, new to me at least. She had it for a while and has never used it. Apparently she thought it would be in good hands in my studio. Thank you Ellyn! Its a fantastic machine! It also comes with various embroidery stitches I can play with. I did some here on the collar for Tommie’s costume. 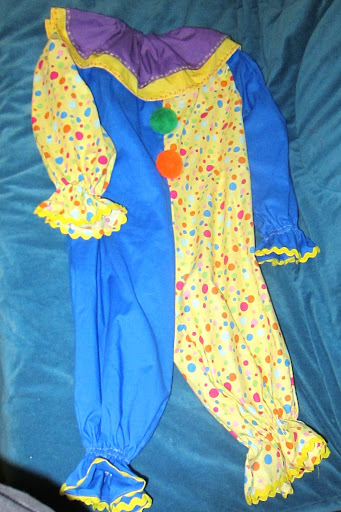 And here’s the costume for my oldest nephew, Danny. 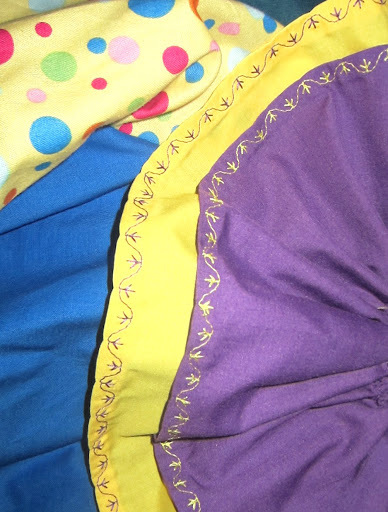 I love the yellow polkadot fabric! Once again, I had fun with my new stitches. I’m a bit addicted to using those settings. I may end up putting decorative top stitching on everything at the rate I’m going. I’m so excited to see my nephews in their costumes! 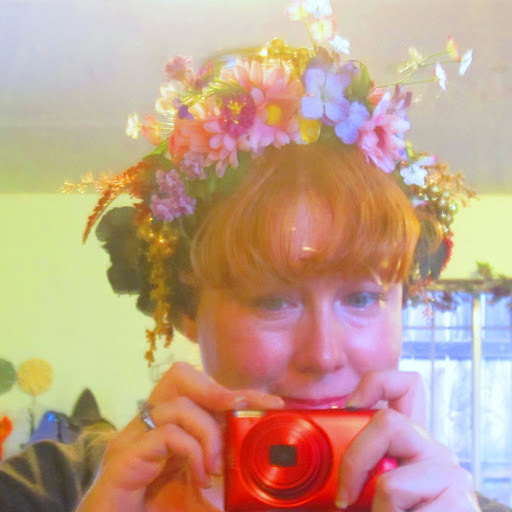 But I’m I’m going to make it Persephone instead of Aphrodite. And hopefully have enough time to fill in little details I want to do. Perhaps like changing out the sash for something else. Eh, I haven’t decided yet on that. 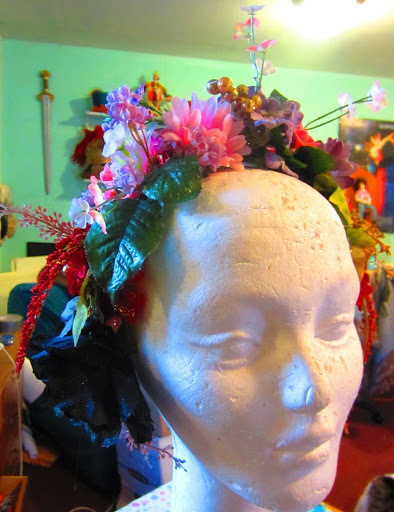 Anyways, I started working on the new head piece. Here it is so far. Its coming along. 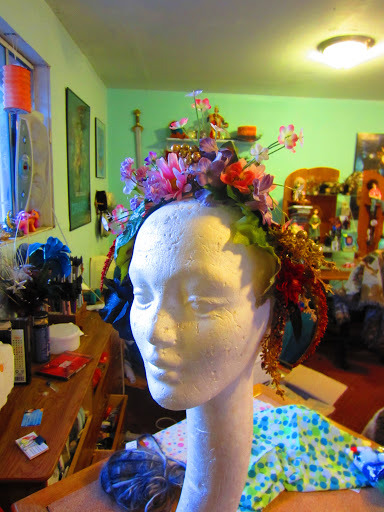 I’ve put all the happy blooms on the top then as the headdress goes down, the flowers start to die and decay. Right now its a bit too subtle so I’m going to pump it all up a bit more. I just don’t think its reading that well yet. That’s all I have done for now. 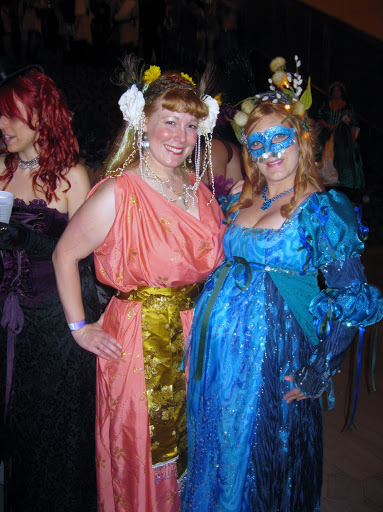 I’m also hoping to put together a very simple, wrap/robe to wear over the chiton, in a black to represent the whole underworld aspect. So currently I have Mickey’s Halloween party, my own Halloween party, and Caid coronation coming up. 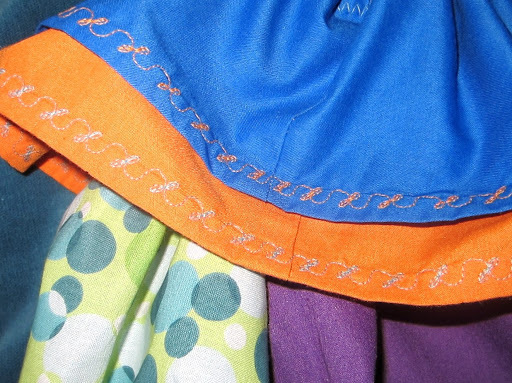 SO MUCH SEWING! ← Dapper Days at Disneyland!